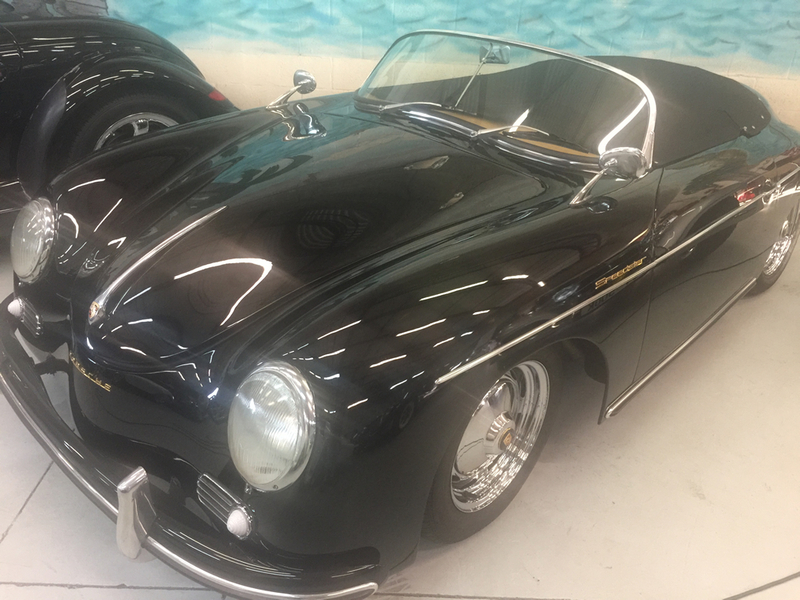 1957 Porsche 356 Speedster replica-factory built by JPS Motorsports in Ca.made around 2005 & showing 2683 miles,German black Glasurit paint-not Gel Coat,67 Volk title,2100cc twin carbs,black canvas top,boot & tonneau cover,all new or rebuilt parts,cost over $40k new.all emblems, tan leather interior,super 1600 script,top of the line !! The following photo is a file photo from the builder's website. 1957 Porsche 356 Speedster replica-factory built by JPS Motorsports in Ca. Made around 2005 & showing 2683 miles, German black Glasurit paint-not Gel Coat, 67 Volk title, 2100cc twin carbs, black canvas top, boot & tonneau cover, all new or rebuilt parts, cost over $40k new. all emblems, tan leather interior, super 1600 script, top of the line! !